Colchester station, Colchester Town station, Wivenhoe station and Hythe stations are all between 10-15 minutes from Wivenhoe House by car. Trains run between London (Liverpool Street) and Colchester station every 10-20 minutes. The journey takes around an hour. 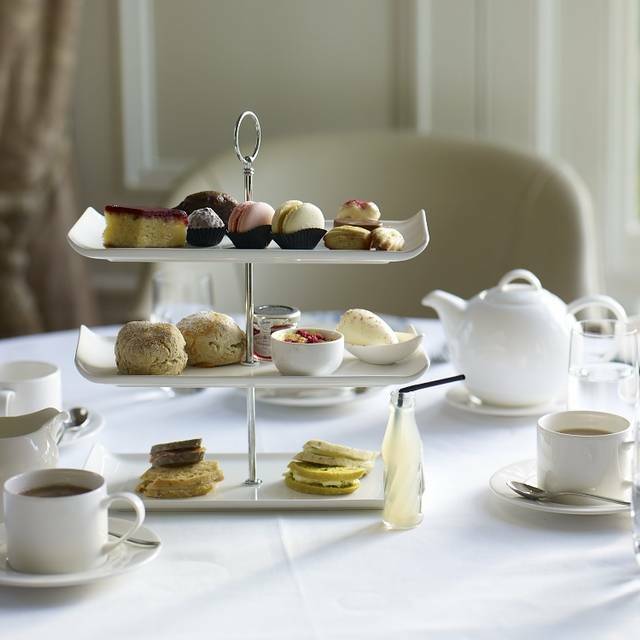 Whether for a quick catch up over coffee or the luxury of an afternoon tea, the lounges of Wivenhoe House are open daily. As part of a ground-breaking partnership between Wivenhoe House, home of the Edge Hotel School and Brown’s Hotel. 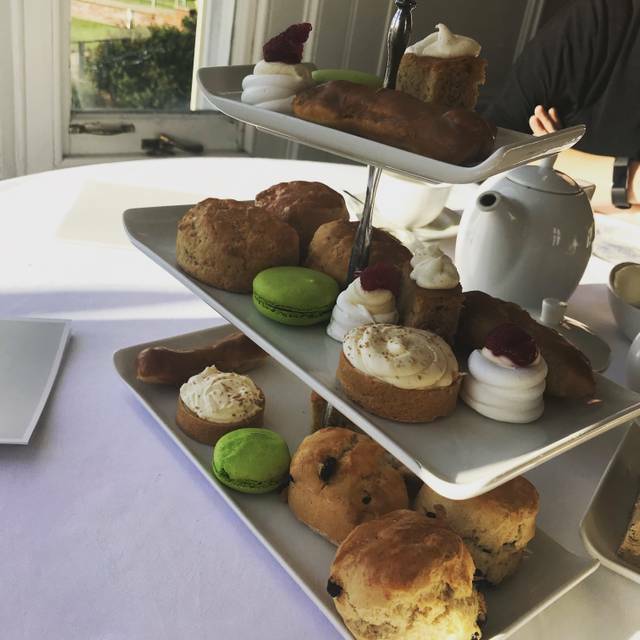 You can enjoy afternoon tea influenced by the renowned chefs at this famous five- star hotel who are sharing their secrets of success with our team of undergraduate and professional staff. Would definitely recommend to a friend and will definitely be returning. Arrived on time for our 13:45 afternoon tea only to not actually have our drinks order taken until an hour and a quarter after arriving. Food was wonderful however the China was mostly chipped and for £19.50 per afternoon tea you would expect the China to be in one piece. Very expensive, but food was lovely. We decided to take my mother here for Mother’s Day and she is gluten free so it is very hard for us to usually find a restaurant that offers good gluten food that doesn’t taste like it’s gluten free. And it is by far (in her words) “the best gluten free food I have tasted”. The service was outstanding, the staff were polite and friendly. Beautiful surroundings and exceptional food. Thank you for the experience. 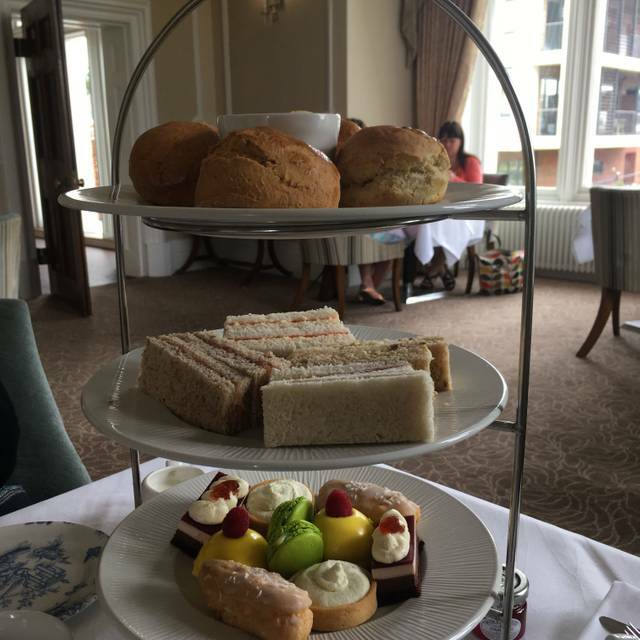 I took my mum to Wivenhoe House for Afternoon Tea for her birthday. The venue was beautiful, really well presented and the service was exceptional. The food was wonderful and, inevitably, we overindulged! I would definitely recommend if you want a real treat for a special occasion. Great setting, service and food- really enjoyed sharing experience with my mum. Food was nice, special dietary request handled well. Nice gesture of a birthday cake. Was only offered more drink right at the end. Also had a piece of string left in one of the beef sandwiches. 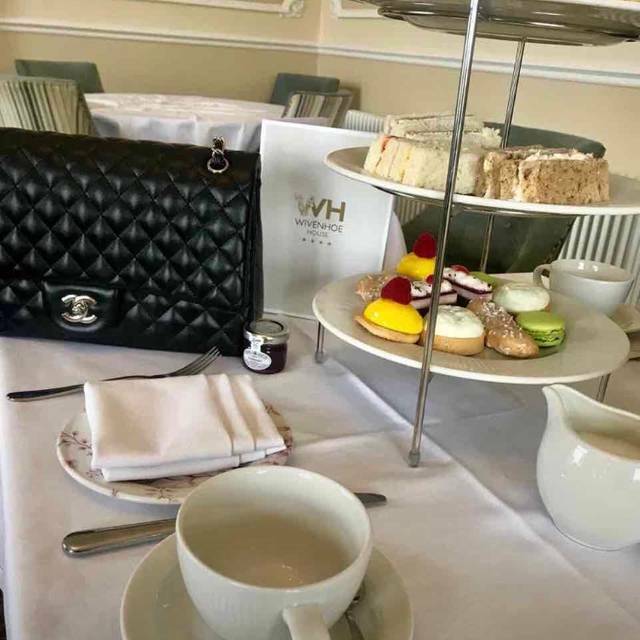 My husband and I had been given a gift voucher for afternoon tea by some friends and we thought we would add a prosecco before enjoying a pot each of our favourite tea. The sandwiches, scones, cakes and fancies were delightful. The house is beautiful and the view from the enormous sash windows across the park is just gorgeous. If I have any criticism it would be that the bread used in the sandwiches could be thinner but that said, we ate everything and it was delicious! The most beautiful building and the food was amazing. We had a small class reunion for 7 of us. It was wonderfully relaxing from beginning to end. Everything done for us. The staff were extremely attentive and we couldn’t have asked for more. We were not hurried for time at all which suited us as we hadn’t seen each other in a long time and had lots to catch up on. Overall would definitely recommend to others and will certainly be returning. Lovely hotel. Can’t praise it enough. This is a lovely way to spend a winters afternoon or any afternoon. Very nice afternoon. Food was delicious but would of like a choice of different fillings for the sandwiches. Scones and cakes were amazing! The girls serving us were lovely and polite. Very nice and would certainly come back with friends. We had a lovely time, nice surroundings and tasty food. Staff were very friendly and helpful. 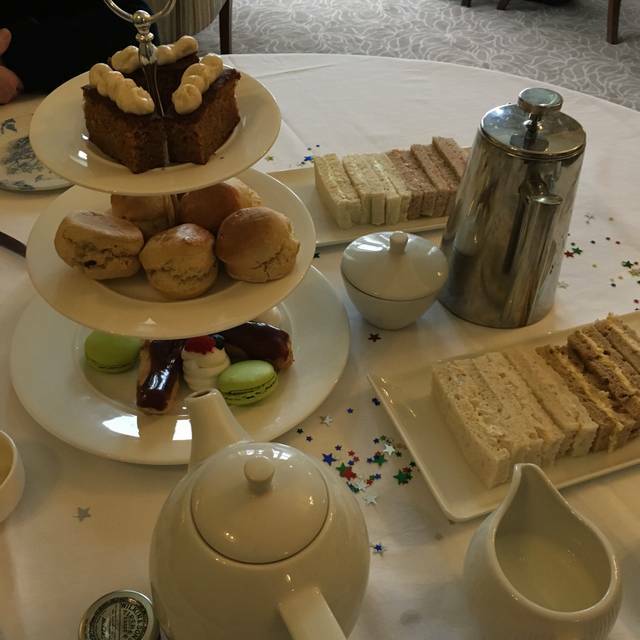 The experience was for a 70th birthday and the birthday girl now has some wonderful memories of Wivenhoe house afternoon tea. Thank you. I took my elderly Mother for Christmas afternoon tea and it was perfect. The food was delicious and the service was outstanding. They made us feel really special. I would recommend for anyone who wants a real treat. 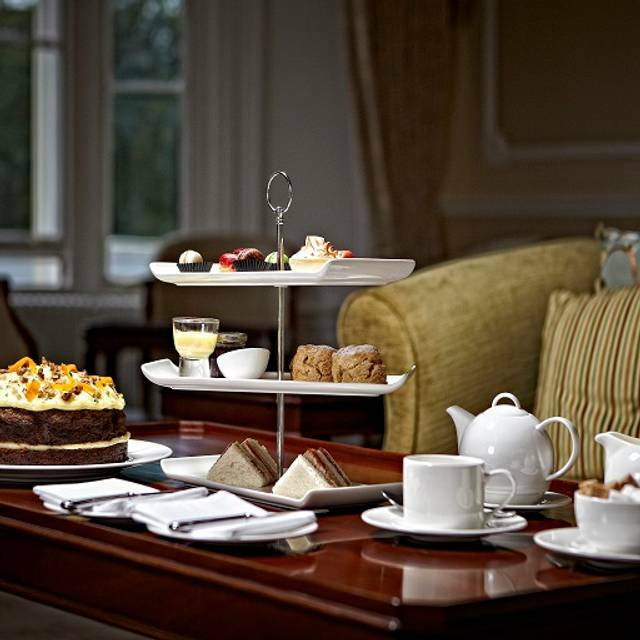 I will definately go back for the normal afternoon tea later in the year when I have family over. We have Christmas afternoon tea here every year. The Tea Sommelier is a very knowledgeable, creative, courteous and all round wonderful human being. The beautiful food, delicious range of teas and variety of sandwiches, home made scones and cakes would compete with any West End hotel. I have also stayed here for Christmas and was treated like royalty. There are not many rooms, so you have the very best, most efficient, attentive service from every single member of staff you encounter. From the management and including every level, the staff are all happy and nothing is too much trouble. The luxurious surroundings, upkeep and cleanliness inside and in the beautiful grounds are five star . The entertainment programme, INCREDIBLE food, amazing bar and the cocktails were FANTASTIC and made one of the best Christmases we've ever had. I can't recommend this place highly enough - for any occasion. I have been here for afternoon tea numerous times before, but unfortunately this time the Festive Afternoon Tea was not quite up to the usual standards. The sandwiches were uninspired and a little lacking in flavour, but the salmon roll was lovely. The pastries had started to wilt, the chocolate melted and the tart filling oozed out of the pastry across the plate. The hot non-alcoholic mulled was however very tasty. The ambience, however was lovely and the seating very comfortable. The tables were well spaced in a beautifully decorated room. Being seated right next to the speaker from the live music being played, made it difficult for some members of my group to hear was being said. Although the pianist noticed this and turned the speaker away from us to adjust the sound. Excellent service from the moment we arrived until we paid the bill and left. 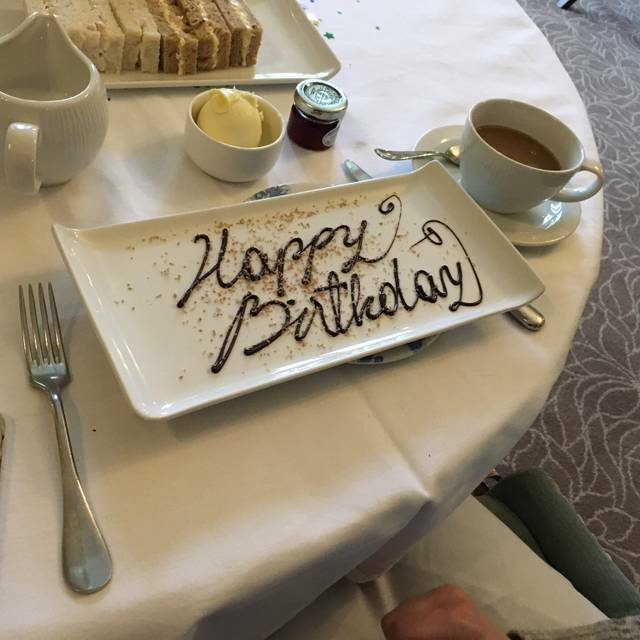 Relaxing atmosphere and attentive staff, we were celebrating my parents birthdays and a member of the waiting staff brought out a Happy Birthday platter with homemade chocolates and good wishes. can not thank the staff enough and the afternoon tea was the best we had had, we have had a few. Lovely setting and outstanding initial welcome. When they found it was my wife's birthday they couldn't have been been nicer and provided strawberries on a special plate. Only criticism was that we were the only customers and were left alone with checking a little too long. Good service and friendly staff. Some of the cakes were not to my liking, but on the whole the afternoon tea was very nice. 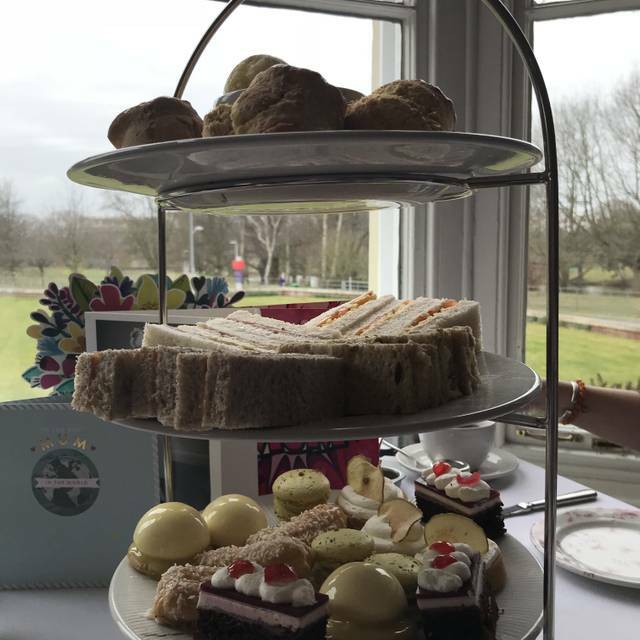 I cannot thank the staff enough for such a lovely afternoon, Im gutted I didnt take the ladies names down who waited on us but myself and 4 of my friends visited on Sunday at 2pm for afternoon tea if you could please pass on our thanks. We were placed in the more private part of the dining area, on table 2, which was perfect as one of my friends was breastfeeding which I stated on the booking. I feel this was really taken into consideration. They were so helpful and welcoming, I felt really looked after and relaxed. Thank you, I will definitley visit again and recommend to all my friends and family. I requested lemon to go with my tea and after a second request I was told that they did not have any but there maybe some lime downstairs! The tea was disappointing in bag form rather than loose. The egg mayonnaise and cream cheese and cucmenber sandwiches were fine as were the smoked salmon rolls. The roast beef needed either mustard or horseradish to give them any flavour. The scones were also excellent, very fresh. However I was disappointed by jam in commercial pots without a spoon and also the cream did not have a spoon so a make shift arrangement of fork and knife was used. I could have yet again requested help from the waitress but by now I had had enough of trying to get attention. The sandwiches were ok but the salmon miniature roll was exceptional. May be a good idea in future to ‘jazz up’ the sandwiches to the equivalent standard . Afternoon tea here was a delightful experience. The service was exceptional and the food stunning and so much of it. There was 4 of us. We took some of the cakes and scones home because we couldn't finish it all. We were not rushed and had a lovely few hours with unlimited teas and coffees. It was my mother-in-laws birthday and the made a real fuss of her and brought her out a choclate brownie on a plate saying happy birthday. A really nice touch. I took a friend to Wivenhoe house for her birthday. We had a very lovely time, and the food was fantastic, the only thing i would change would be the cakes on the top plate, all but one tasted just sugary and sweet, the blackcurrent cheesecake was just creamy with no fruity taste to it, and then there was a green cake which then was very very sharp! They were all delicious but i would have preferred a variety of flavours rather than several similar tastes. Service slow and staff seemed disinterested and inattentive. Experience this time not as good as previous visit and food (especially the finger sandwiches) could have been more imaginative and exciting for the price. Visited Wivenhoe Hotel with family for a surprise 40th Birthday ‘Afternoon Tea’ and just can’t praise the place enough! Beautiful venue, attentive staff, fabulous views and amazing food! Definitely wouldn’t hesitate to return or recommend friends! Afternoon tea for two, my wife's birthday, experienced a beef finger sandwich that would have been more fitting from a roadside caravan cafe, both mine and my wife's where uneatable and i mean uneatable. Thin almost see through beef that was like chewy leather, after raising my concerns with a lady waiter she simply said "well was everything else ok?" i replied well you really need more savoury and a little less cakes, with that she walked off and never came back. We went to Wivenhoe House for my husbands birthday. 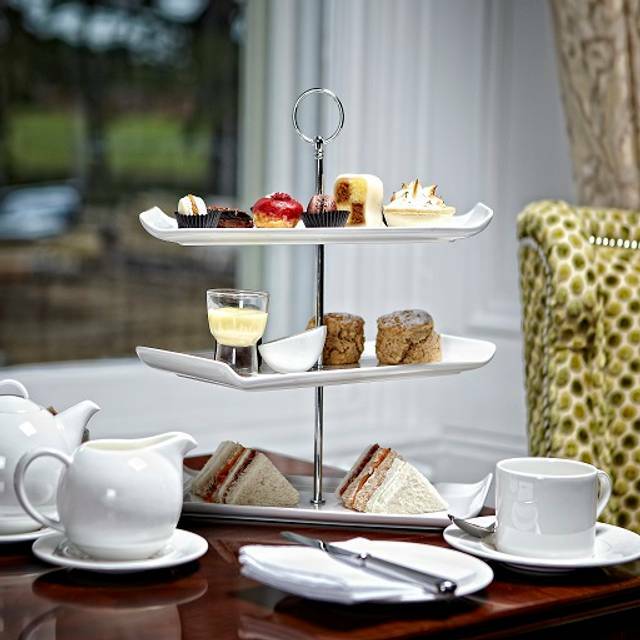 We booked an afternoon tea for he and I and are two young children. Having not taken them out for this type of meal before I was a little apprehensive, but it was brilliant. They had a special child’s afternoon tea which came up alongside ours. Had sandwiches which were much better suited to children and mini cupcakes too. There was a relaxed atmosphere, without loosing the elegance of such a beautiful venue. The children were made to feel welcome and were very well behaved, thankfully for mummy and daddy! There were lots of different groups there, other families, girls groups, older couples, romantic dates. We felt at ease completely. The food was delicious and we were able to take home whatever we couldn’t finish, as there was an abundance of food. We will certainly be coming back again soon. Went here for my parents anniversary. Had a lovely message written in chocolate which surprised them. Beautiful setting, divine afternoon tea. Would definitely recommend. we all said that we would return again and try the lunch next time. Well done to Wivenhoe park hotel You have regained my faith that there are still places out there who offer good old fashioned service along side wonderful food and accomadating, polite, friendly staff. Had a nice time but was spoiled by two large tables having be by showers. Very noisy with games going on round table. Was expecting a nice peaceful afternoon tea booked as a birthday gift for a elderly friend. Had to speak loudly to be heard. Our fourth visit for afternoon tea in the last couple of years, great surroundings and atmosphere.